Linksys announces the expansion of its MU-MIMO (Multi-User, Multiple-Input, Multiple Output) line up fot home networking solutions portfolio, with the new MAX-STREAM MU-MIMO routers. According to Justin Doucette, Director of product management, the line-up offers “high-performance and simultaneous Wi-Fi, including speed, range, and coverage”. The goal behind the latest line-up of Linksys MU-MIMO routers is to provide a fast and seamless connection to all devices at the same time, as if each individual device was connected to its own dedicated router. The new MAX-STREAM MU-MIMO router line-up includes two additional routers (EA7500 and EA9500), a range extender (RE7000) and a USB adapter (WUSB6100M), all said to be released Spring 2016. Linksys has stepped up its Wi-Fi networking solutions game by improving the speed and performance of its routers, ensuring users uninterrupted connectivity regardless of the number of devices connected. Consumers will like these new MU-MIMO routers. In keeping with its success in contending with the latest Internet trends, a white paper ABI research, “The importance of Mu-Mimo in the Wi-Fi ecosystem”, predicts that by 2019, 84% of all wireless 5GHz chipsets will be MU-MIMO enabled. 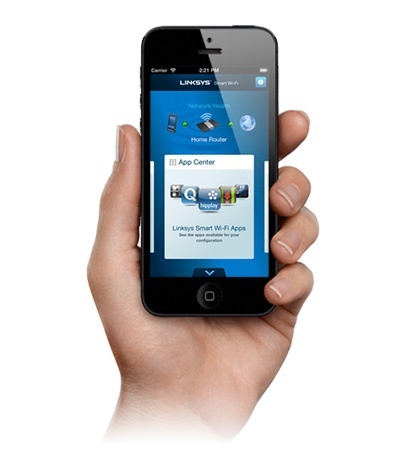 Linksys Smart Wi-Fi is a cloud-based free service offered in Linksys’ Smart Wi-Fi routers and the latest WRT routers. It is an easy and highly secure solution for users to access and manage their home network.